Kyoto has lots of temples and shrines and there are lots of places to see, but especially these three areas are very popular. 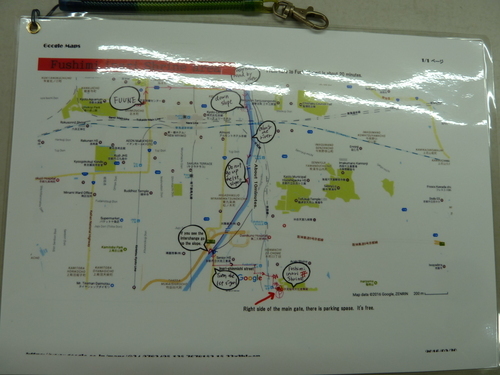 Our staff went there cycling several times, and made a map which shows safe roads and fun spots. It shows where to park your bike too. If you have this map, you can cycle around without getting lost even without a guide. Of course the map is free. 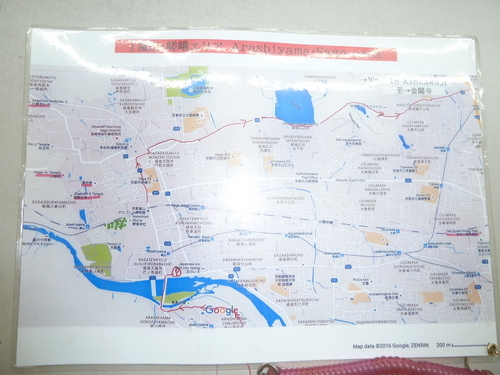 You can go to Kiyomizu temple, Maruyama park, Nanzenji, Heianjingu, Philosopher's Walk, and Ginkakuji in this area. 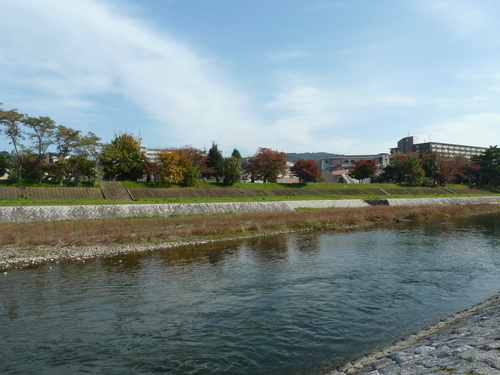 Around here it has a nice atmosphere of Kyoto so just cycling around is fun. If you don't stop anywhere along the way, you can go to Ginkakuji from our shop in just about an hour. This is near Kiyomizu temple. 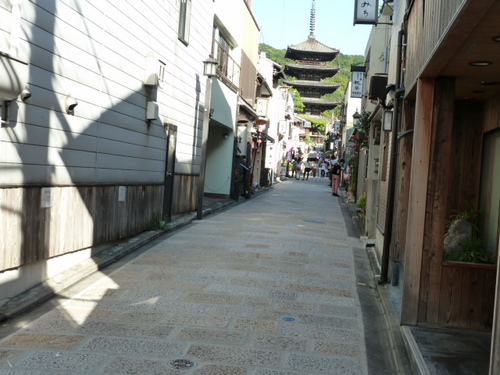 The stone pavement has an atmosphere of Kyoto. The tower you can see in the back is called "Yasaka tower". 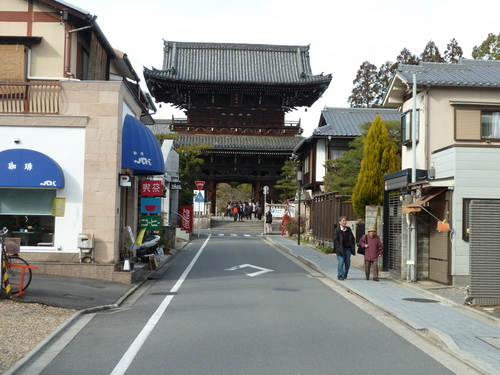 If you see "Yasaka tower" turn left and you can go to the road of Nene which leads to Kodaiji temple. Around here has the best atmosphere of Kyoto. 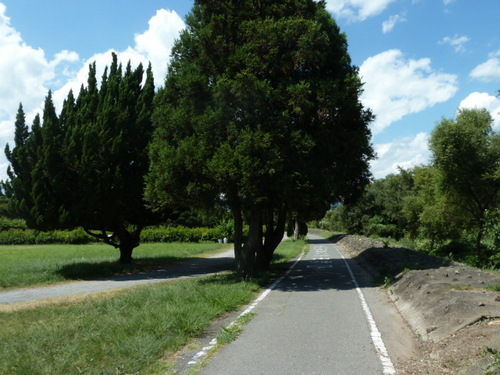 This is the road of Nene. If you go up the stairs on the right side, you can get to Kodaiji temple. 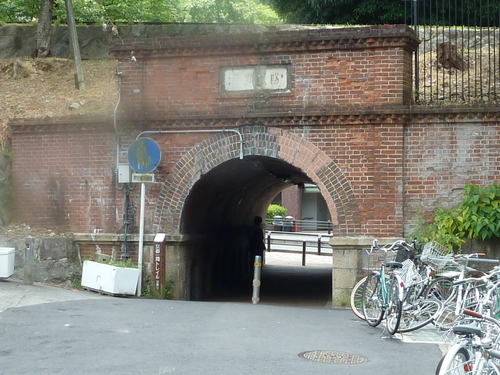 This tunnel is called "Nejirimanpo". There's a place called "Incline" near here. It is famous for cherry blossoms. In the photo there are bikes parked on the side but you can't park bikes here. If you park one there it will be taken away immediately so be careful!! 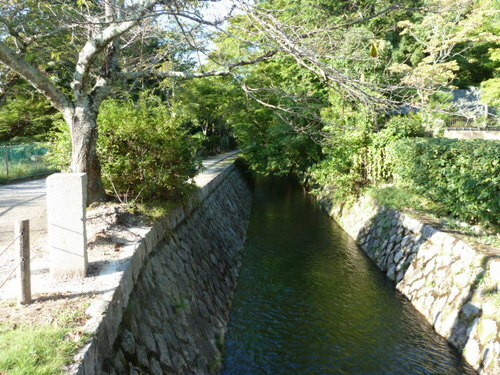 We recommend going to Nanzenji, Heianjingu and the Philosopher's walk too. From Nanzenji to Ginkakuji you can go through the Philosopher's walk. You can ride on your bike in the Philosopher's walk. 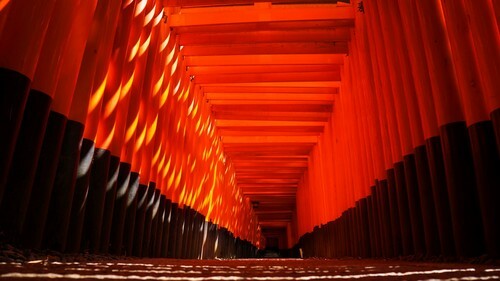 When you go to Fushimiinari we recommend the road along the river, which is not known so much. It takes about 20 minutes from our shop. This is the road along the river. It's very close to the river so you can see fish swimming! It might be nice to buy coffee and take a break around here. 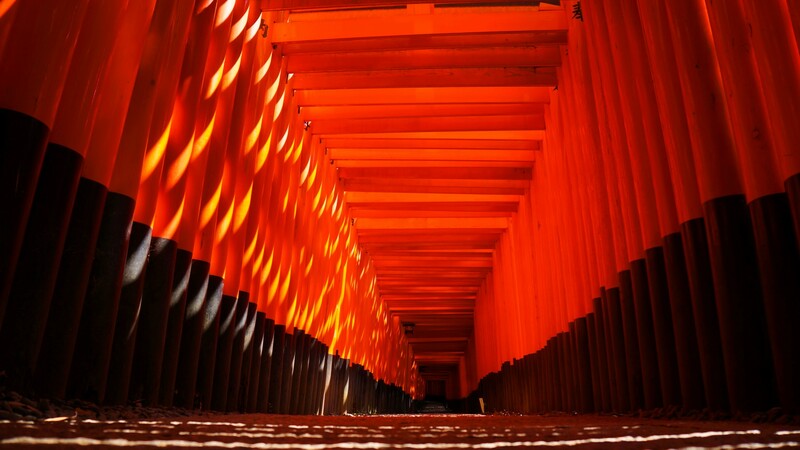 These are the gates of Fushimiinari. There are thousands and thousands of gates. It's awesome, as you can see. You can go up the mountain as you pass through the gates. Even in cold winter cycling and climbing will warm you up. In front of Fushimiinari there are lots of street stalls, selling various local foods. If you are hungry after you climb, why don't you try some! 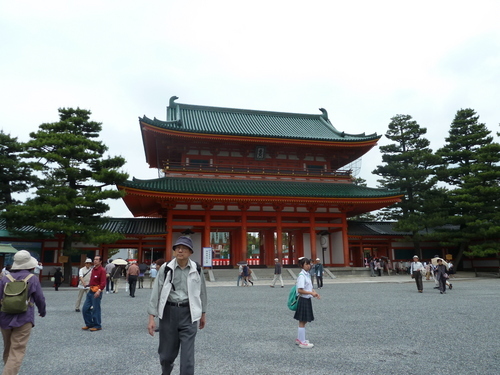 It's just in front of Inari station, which was made in the style of a temple or shrine. We think it's worth going here! 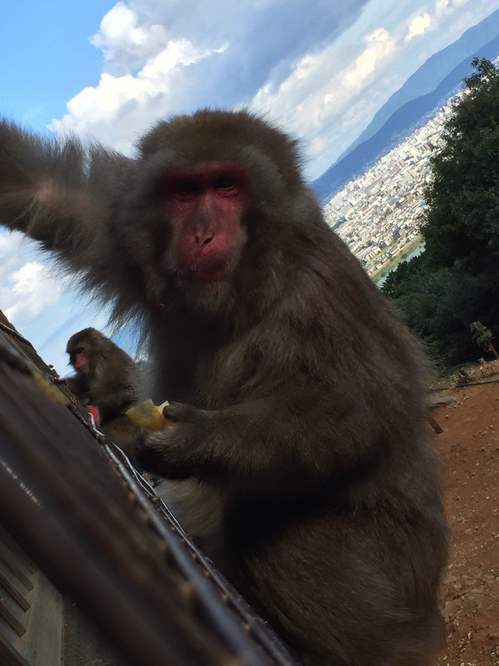 You can go to the monkey park, bamboo forest, Ninnaji, Ryouanji, and Kinkakuji in this area. 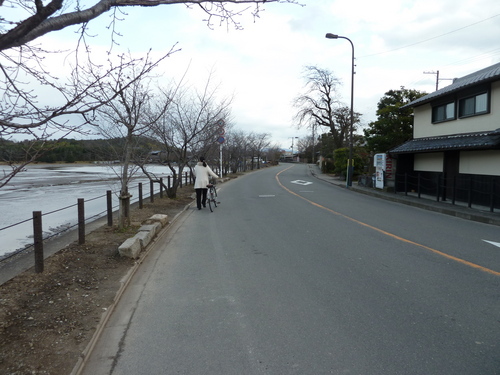 The road alongt Katsura river is only for bicycles and pedestrians so it's safe and easy to cycle. If you don't stop any where along the way, you can get to Arashiyama from our shop in just about 50 minutes. Especially the monkey park is popular. At the top of the mountain they sell peanuts and apples to feed the monkeys. 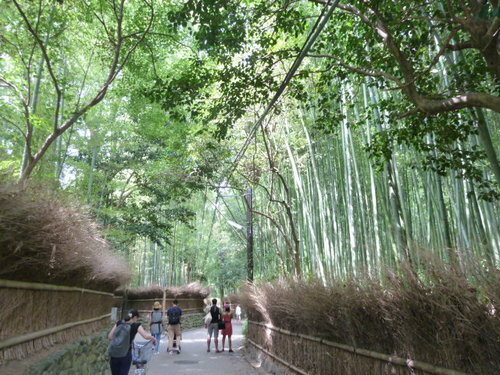 This is the bamboo forest. You can ride your bike and pass through, or you can park your bike at the parking lot near by and walk around. At the end of the road there is Seiryouji temple. 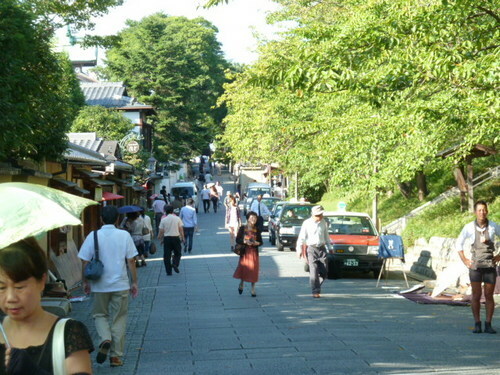 If you turn right here you will see Kinukake road which goes to Kinkakuji. The pond in the left side is called the "Hirosawanoike". 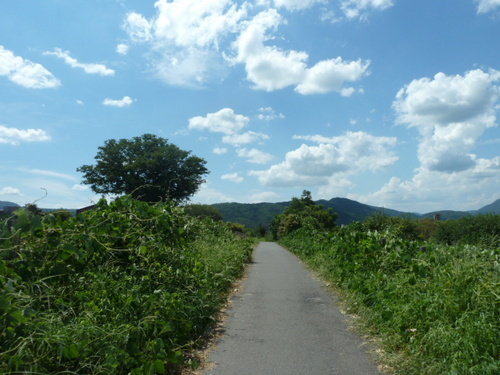 Kinukake road has a lots of hills. 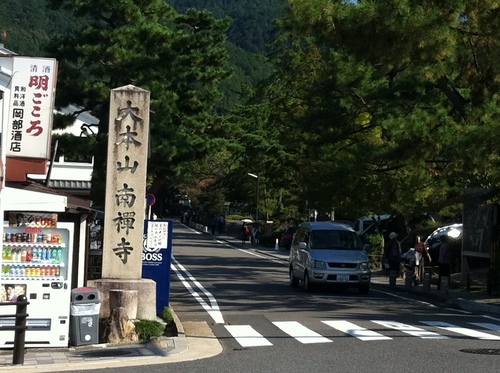 On the west side of this road you can see Ninnaji, Ryouanji, and Kinkakuji. These three temples have free paeking. If you come to our shop we will explain how to get to these places. If you haven't decided where to go yet , please try these areas we recommend. We recommend all these areas! 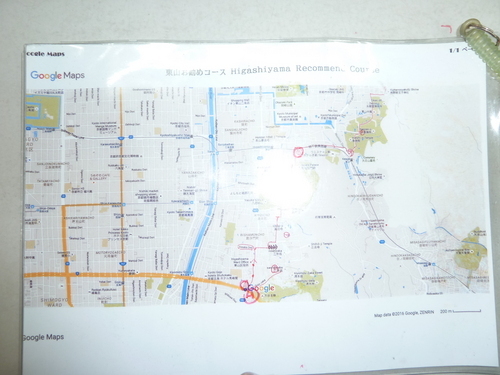 When you come to our shop, we will give you maps and good directions. Cycle safely and have fun! !